Andrew Reed, 14, a freshman at Milwaukee High School of the Arts, choked up when he read, “I love everyone even though everyone doesn’t love me” from an original poem, before an audience of 20 at TRUE Skool. A woman in the front row wiped away a tear. 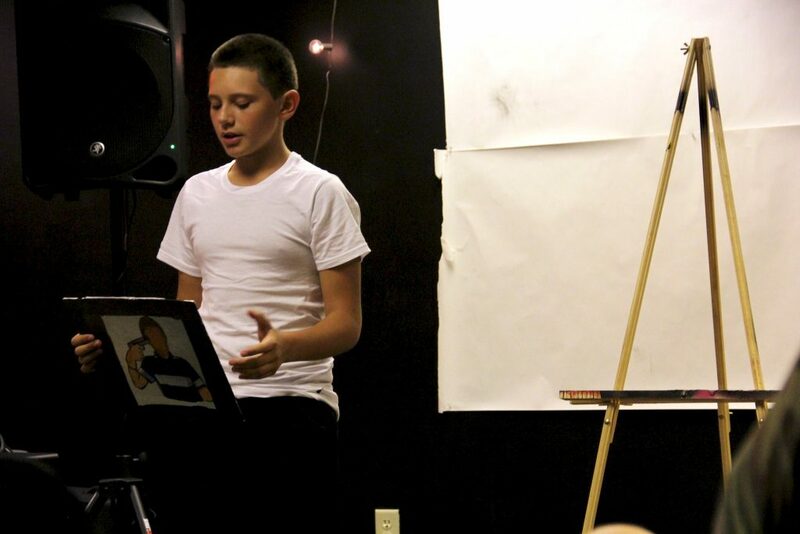 Reed shared his poem about his experiences being bullied in school at the showcase of the nonprofit’s “Art of Coping,” curriculum. He and 16 other Milwaukee teens spent seven weeks learning how to use a variety of disciplines for coping with stress. The Art of Coping curriculum was a part of TRUE Skool’s summer internship program. Participants from TRUE Skool’s fall and spring programs were eligible to apply for the paid internship. Using skills they learned during the year, they painted a mural, organized a library and a place to grow herbs, and created a logo and YouTube channel for the urban arts organization headquartered on the lower level of the Grand Avenue Mall. Each Wednesday, Shalina Ali, TRUE Skool’s program director, guided the interns as they explored reflection, meditation, yoga, journaling and dance. Each intern used a rock as a “grounding item” to help them clear their minds. Kelley said Afro-Caribbean dance may help some of the interns connect to their roots. “Sometimes, minority cultures can be bashed out, but if you know that all the classical forms drew inspiration from African ancestors, it adds value,” Kelley said. Joanna Brooks, director of the Embody Yoga studio, also taught a workshop. Yoga is “healing by its very nature,” Brooks said. While young people typically struggle with anything that makes them slow down, those in the group really enjoyed the opportunity to do so, she added. Gathered in a circle, the interns talked about the coping methods they learned and expressed how they felt using their hands. Some had their hands raised in the air to show they were happy. Others held their hands at their chest to express they were at peace. A few folded their hands in their laps to indicate they were upset. However, this has not been easy for every TRUE Skool member. 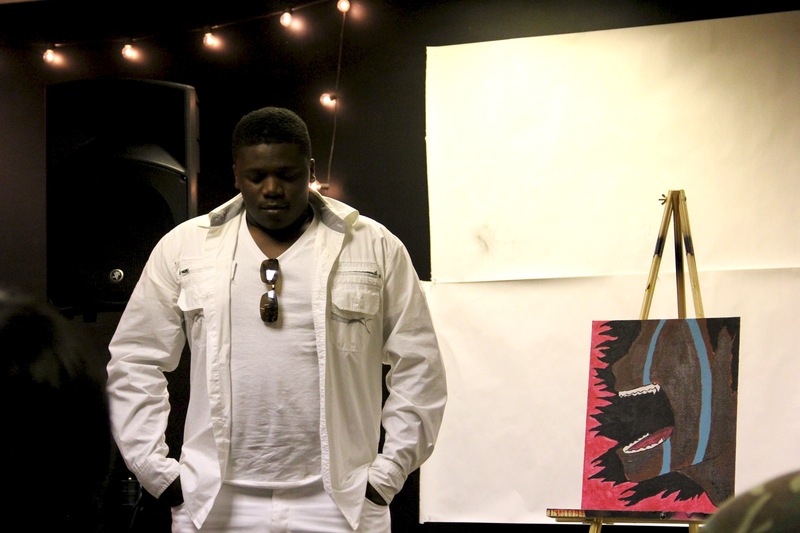 Stephan Bell, 17, a senior at James Madison High School, said he has had to struggle with anxiety and that he was nervous about presenting his poem and painting at the showcase. “Sharing emotion is sometimes difficult for me,” Bell said. Khadijah Perry, the mother of Tre Perry, 15, a sophomore at Homestead High School, said she was impressed that young people are learning coping skills. Thank you for your feedback & for your Grandson – he is an outstanding , respectful and humble young man. Stephan is force to be reckoned with! We LOVE him!